“I think they are making different decisions because they are very worried about accelerating inflation,” specifically an acceleration in wages, Kashkari replied. I leave it to others to determine if worry about an acceleration in wages is a ghost story at this particular time. However, it doesn't appear from the following chart that there should be much of a worry about wage growth, though data is delayed. CNBC shows that as of August, 2017, wage growth remains anemic. The significant secret divulged by Kashkari is that there are those in the Fed who fear any acceleration in wages and we can see that the Fed has clipped wages continually in the past, citing wages as the primary reason for doing so. This is a reasonable but remarkable conclusion that we must accept as truth, based on his statement coupled with the chart. The chart shows the pattern of the proactive attack on wages, which is not just a correlation to this Fed tightening. Some have said that yes, there is a correlation of wage suppression to Fed behavior. But we now know it is more than just a correlation. The labor share declines during recessions and rises during booms. And the problem of the Federal Reserve is that over the past 30 years, it has a perfect track record of never allowing inflation (which is to say a sustained period in which wages rise faster than productivity), but it doesn't have a perfect track record of never allowing recessions. The inevitable consequence of this asymmetrical success is for the labor share to steadily decline. The lack of balance between inflation and recessions in favor of continual recessions has eroded wages, caused people to need to live multi-generational lifestyles, caused a continual decline labor's share of GDP and caused by an erosion of the middle class. 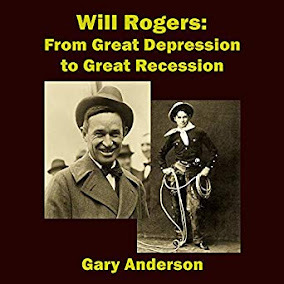 The Fed is responsible for recessions and inflation and according to Ylesias, controls the business cycle in order to put workers at a distinct disadvantage. I wrote about multigenerational living on Business Insider. Keep in mind that while this multifamily arrangement still has legs, home ownership is narrowing. We can see that most age groups have been affected, including millennials. Ultimately, this adverse reaction to credit by millennials will not help the lending community. All this could have been avoided had the Fed simply allowed wages to run a little hot for a little longer in each cycle. By impoverishing the working man, home ownership becomes illusive and accumulation of wealth by the masses is slowed dramatically. Trusting the Fed becomes a difficult thing for labor. Labor can blame others, but the focus of its anger must be focused on the Federal Reserve Bank. One could even say that the Fed is a union buster, as is Republican government in some situations. The reason union busting does not help stimulate growth anymore is because labor is at such a disadvantage when new hires are paid poorly. Now it really matters when the Fed seeks to prune wages in a way that it did not matter as much prior to the Great Recession. The reason it did not matter as much in the 1970's was that women entered the work force. The Fed has no such cushion now. Now, this continued bad Fed behavior does impact households in a way that affords few solutions. Multigenerational living is a solution that is not optimal. 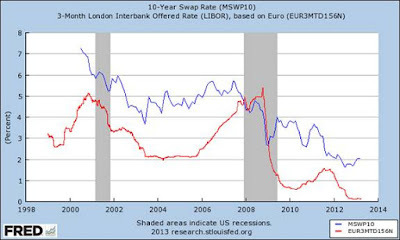 It seems there is an insatiable appetite the Fed possesses for pruning wages. But it simply cannot continue without more serious consequences in the future. The Fed is running out of solutions and will have to find another process. The only real solution is, as Kyle Bass has said, helicopter money. Neel Kashkari is a lifelong Republican. One wonders why he revealed such a dark Fed secret other than to stop premature interest rate hikes. One could hope he was motivated by a sense of fairness in dealing with workers that the Fed clearly has not manifested in its history.